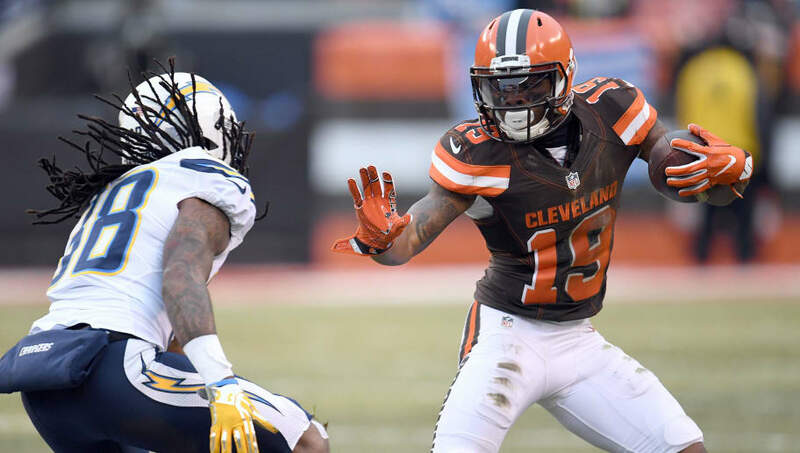 ​Corey Coleman was a first-round draft pick by the Cleveland Browns just two short years ago. Now, the former Baylor All-American's NFL career is hanging on by a thread as two organizations have already chosen to move on from Coleman this year. First the Browns traded Coleman to the Buffalo Bills for merely a seventh-round pick. But after the preseason, ​Coleman failed to make the 53-man roster and was cut by the team that traded for him a month earlier. Still, NFL teams are not going to give up on a guy with Coleman's potential, especially when he is just 24 years old. The #Patriots spent today working out former #Browns first-round WR Corey Coleman, I’m told. He has a visit with the #Eagles scheduled for tomorrow. ​​The Patriots and the Eagles just competed in the Super Bowl last season, and now both are vying for the wideout's services. The Eagles missing their No. 1 wide receiver in Alshon Jeffery for the beginning of the season due to injury, as are the Patriots in ​Julian Edelman, who is suspended for the first four games of the campaign. Coleman offers a viable alternative at a minimal cost. ​​If Coleman could not learn the Bills offense in a month, it seems hard to believe that he could contribute for a team like the Patriots or the Eagles in the upcoming weeks.